Refrigerators use a significant amount of water to conduct their business. Occasionally, problems pop up that cause this water to start leaking. Repairing the situation of a leaking refrigerator first requires a little troubleshooting to determine the exact cause. Once you find out what the cause is, the solution to your wet floor is relatively easy to figure out. A leaky refrigerator can be caused by several things, but all are relatively easy to fix. Inspect the drain inside the freezer to see if it has become clogged. 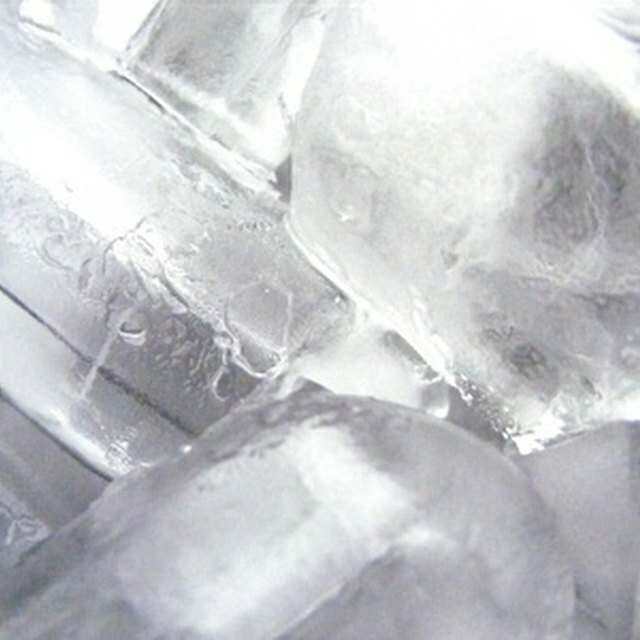 Remove ice from the floor of the freezer. Mix 2 cups of hot water and a teaspoon of baking soda. Use a bulb baster to pour the mixture down the drain. Place a small space heater next the refrigerator and allow it to run for a day or two. Check the floor to see if the refrigerator is still leaking after you have let the heater run. The cause of water leaking onto the floor around a refrigerator may be traced to condensation as a result of the heat produced by the freezer motor. Relocate the refrigerator to a warmer area of the room if there is no water on the floor when you check the appliance after the heater test. Look at the tubes that lead both to and from the motor. Check to see if these tubes have become coated with a layer of frost. This frost goes through a regular process of melting, leaking and refreezing. Wrap foam tubing insulation around the suction line near the compressor or use wraparound insulation commonly used for insulation of plumbing pipes to keep the frost from building up and eventually melting so that water leaks onto the floor. Take out the drain pan situated beneath the refrigerator. Look for cracks or holes that could cause water to leak out onto the floor. Replace the drain pan if you find any damage. Unplug the refrigerator and turn off the water supply to your icemaker. Pull the unit out from the wall. Unscrew the bracket from the back of the refrigerator so you can disconnect the tube sleeves from the valve ports. Place a pan beneath the tube to collect water that spills out. Disconnect the valve terminal plug and the ground wire. Remove the filter from the inlet port using a screwdriver. Clean the filter by running it under water. Set a multitester to RX10 and touch a probe to each terminal. The result should be 200 to 500 ohms of resistance. Replace the water inlet valve if you do no get this reading. Reconnect the terminal plug and the ground and screw the bracket back onto the refrigerator. Reconnect the tube sleeves to the valve ports. Place the refrigerator back against the wall, plug it in and turn the water back on. Check to see if the cause of water leaking onto the floor was the old leaking icemaker water inlet valve.